Register today to run through the City of Oaks! Lace up your running shoes and get ready to run Raleigh’s Hometown Race! 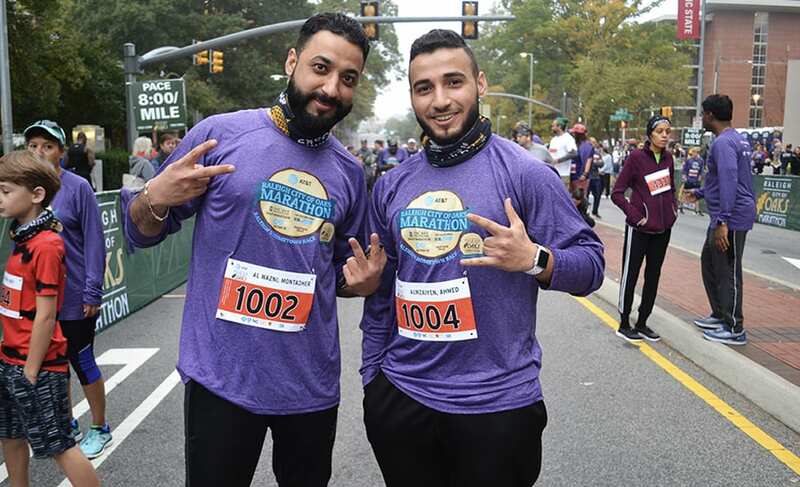 The 13th annual Blue Cross and Blue Shield of North Carolina City of Oaks Marathon is returning on November 3rd, 2019 with a distance for everyone. Tour the City of Oaks on foot and enjoy a post-race party equipped with live music, free beer, and much more! 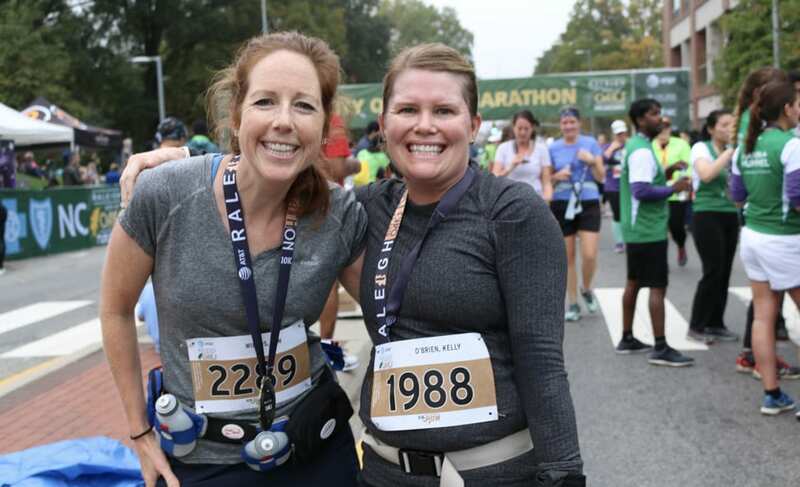 The course itself was great – I enjoyed running through the college campuses, downtown, and the beautiful greenway trails. It is such a great way to see everything Raleigh has to offer! The City of Oaks Marathon is always a very well done and organized race! It is well-hyped, drawing a lot of spectator support both on the course and at the finish line. Having local beer at the after party is always a huge plus! The volunteers and course support are AMAZING! Overall, the event was an invigorating experience from start to finish! I am extremely satisfied with my first marathon experience! 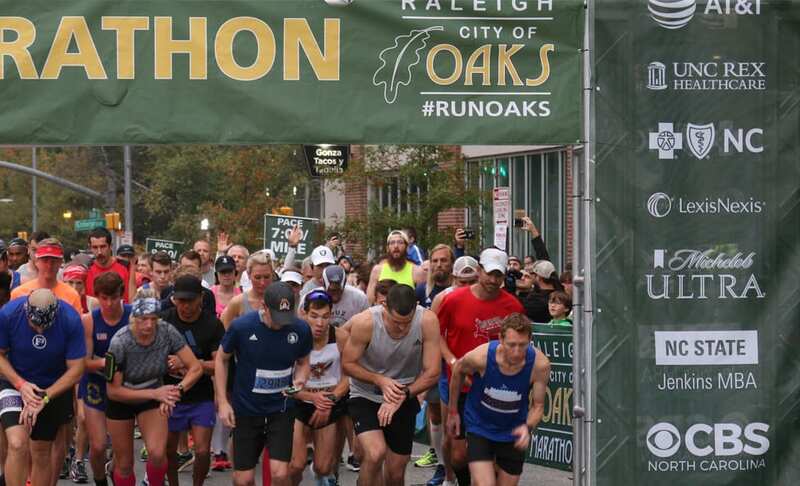 The City of Oaks Marathon courses highlight the diversity of Raleigh’s landscape, from modern city to wooded trails.  Run by all the local focal points of Raleigh, including Fayetteville Street in downtown Raleigh, the State Capitol Building, the Glenwood South restaurant district, Meredith College, and NC State University. There are endless ways to celebrate your accomplishment at the City of Oaks Post-Race Party. Grab your free beer, indulge in Krispy Kreme donuts, and dance to live music from the Triangle’s local favorites, Liquid Pleasure! Don’t forget to join us for the awards ceremony or stop by pick-up your age group award, regardless of what distance you run. Raleigh is more than just a capital city- explore everything the City of Oaks has to offer! Sample the many flavors of artisan craft brews, discover the many local boutiques and artists, or enrich your weekend through the renowned art exhibits. No matter what you choose, you’ll be immersed in Raleigh’s historic charm and southern hospitality!